On Wednesday, the U.S. Supreme Court once again reviewed a Texas abortion law. The previous case was decades ago in 1973. Back then, the case was the now infamous Roe v. Wade, which led to the legalization of abortion in all 50 states. This time it’s Whole Woman’s Health v. Hellerstedt. With Justin Antonin Scalia’s death, it’s possible – and predicted by some experts – that the Court will reach a 4-4 decision. In that instance, the Texas law would be upheld, but without a national precedent. Still, the stakes could not be higher. The Court may also remand the case back to the lower court to gain a fuller record. 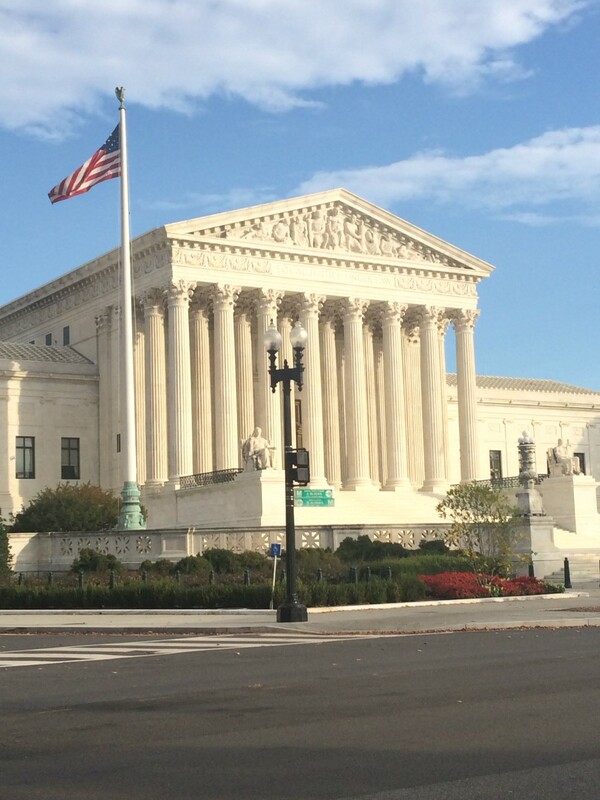 A rehearing at the Supreme Court is also a possibility. Planned Parenthood and the rest of the abortion lobby protested outside the Court today, loudly insisting that the case is about women’s health. In fact, Whole Women’s Health is indeed about women’s health, but not in the way abortion advocates say it is. And it’s not just because abortion is never real health care. Even those who support abortion should be able to understand that the Texas pro-life law, known as HB2, is in place to protect women and their health in the way federal law allows. Wednesday’s oral arguments will help decide whether the challenged law places an “undue burden” on women, or whether Texas is well within its state rights – which even Roe recognized – to protect the health of women and what the Court referred to as “potential life.” Common sense, science, and basic human dignity tell us that the preborn child is not a “potential life,” but already a life. And yet, it matters if the Court agrees. Why do abortion supporters claim HB2 poses an “undue burden?” Well, the challenged laws include a requirement that abortionists have admitting privileges at a hospital within 30 miles of their place of business and that abortion businesses meet the same safety standards of ambulatory surgical centers. Abortion advocates argue against such privileges because they claim abortion is safe enough without them. Yet it is never safe for the preborn child, since the whole purpose of abortion is to end a pregnancy by ending that child’s life. Additionally, even those who advocate for abortion should logically have no problem making it safer, especially in the wake of countless abortion facilities around the nation that have been caught violating laws and endangering women again and again. Some abortion facilities have had to send live babies who survived abortion to the hospital or have admitted that they leave them to die or kill them after botched abortions. Facts like these prove the hypocrisy of the pro-abortion sentiment that pro-lifers are anti-woman. Fighting against laws like HB2 – which aim to protect women, their health, and even their lives – contradicts what abortion supporters claim to stand for, and demonstrates who they are truly beholden to: the abortion industry. HB2 has so far been successful, which not only shows that pro-life laws work, but also how little the abortion industry really cares about women’s health. Since its passage in 2013, HB2 has resulted in the closures of about half the abortion businesses in the state. These closures came about because the facilities don’t – or won’t – meet appropriate health and safety standards. The abortion industry would rather save costs than ensure women are properly protected. It’s also fascinating how often admitting privileges are fought against by the abortion industry. As Sarah Terzo has profiled for Live Action News, abortion is one of the only procedures where requiring so-called physicians to have privileges is such a problem. It is just one more reason why abortionists are not true physicians who act in the best interests of their patients. Secular Pro-Life has also made the point that, if any other doctor, in any other medical procedure, would neglect their patients (sometimes to the point of fleeing the state) – as abortionists do – it would be considered patient abandonment. Moreover, as Carole Novielli has reported for Live Action News, the abortion business involved in Wednesday’s case has a long history of health violations and a record of endangering women. If abortion activists truly cared about women and their healthcare, they would be advocating for the Court to uphold HB2, not to overturn it, and certainly not in the name of fighting for women.